I love New Zealand's favourite vege - the mighty kumara, and since learning the nutritional value of the kumara I'm keen to get as many Kiwis as possible getting their daily dose of New Zealand's own super-food. 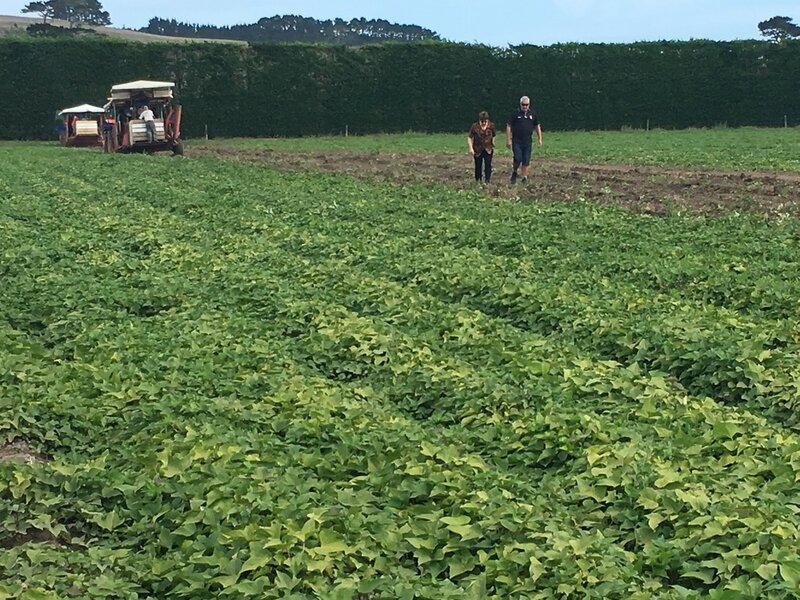 I was very fortunate that my path crossed with the best kumara grower on the planet - Ant aka "the boss" - proud owner of Kaipara Kumara. This occurred while filming a fresh story TV ad for countdown. 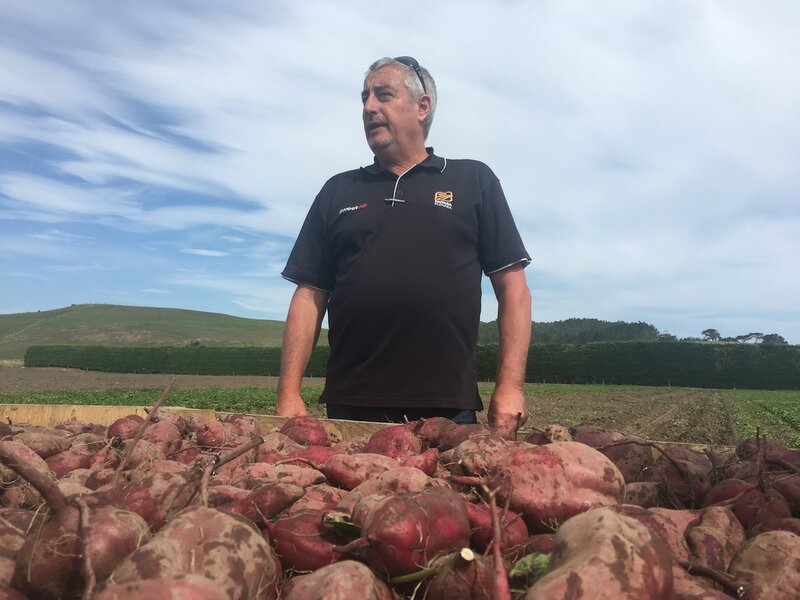 You see Ant and the team at Kaipara Kumara supply Countdown with kumara and I was there to tell his from garden to plate story, trouble was I was late (those country roads all look the same!) Ant wasn't shy on giving me some jib for that and we hit it off instantly, and we have been on this incredible journey since. 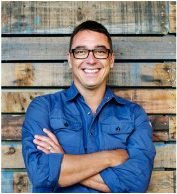 For me it was a no-brainer to join the Kaipara Kumara team as an ambassador to help spread the word on just how awesome our very own super-food is. 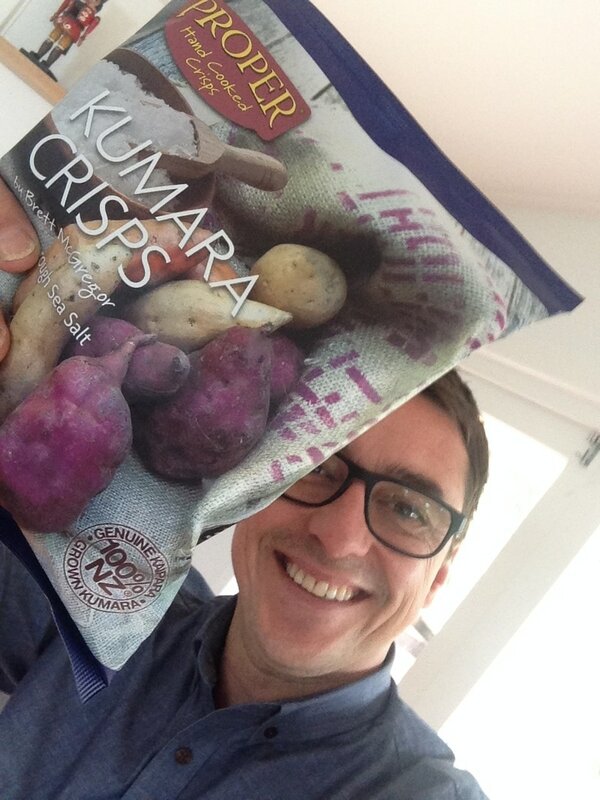 Now one thing was bugging me, we had this amazing kumara grown right here in New Zealand, but the kumara crisps I was seeing at the supermarkets were all made overseas with no kiwi kumara! Not only that they were filled with nasties. This didn't sit well with me as an avid crisp lover, and as luck would have it I had a chance meeting with Ned & Mina from Proper Crisps at a food show and the light bulb went off! Ant grows the best kumara and Proper Crisps make the best crisps this was a match made in heaven...a few months later and da daaaa these beauties were born.... check them out!